Other Names: Cox’s Plantation Location: Ascension Parish Campaign: Taylor's Operations in West Louisiana (1863) Date(s): November 28, 1862 Principal Commanders: Brig. The Battle of Kock’s Plantation (also spelled Cox’s Plantation and Saint Emma Plantation) was a battle fought July 12–13, 1863, in Ascension Parish, Louisiana, during the American Civil War. It was part of a campaign entitled "Taylor's Operations in West Louisiana (1863)." The Confederate States Army victory left them in control of much of the interior of the Acadiana region. Following the surrender of Port Hudson, two Union divisions were shifted to Donaldsonville by transports, to move inland and pacify the interior. They marched up Bayou Lafourche, a division on each bank. Confederate Brig. 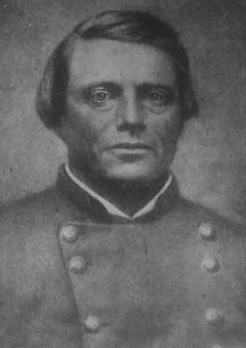 Gen. Tom Green posted a brigade on the east side of the bayou and placed his second brigade on the other side. As the Union forces advanced, skirmishing occurred on July 11 and 12. On the morning of the 13th, a foraging detachment set out along both banks of the bayou. Upon reaching Kock’s Plantation (Saint Emma Plantation), they met Rebel skirmishers that forced them back. Then, Green's Confederates flung their might against the Union troops, which kept retiring although they tried to make stands at various points. The Union troops eventually fell back to the protection of the guns in Fort Butler at Donaldsonville, about six miles from Kock’s Plantation. A much smaller Rebel force had routed the Yankees. The expedition failed, leaving the Confederates in control of the interior. The restored plantation home, built in 1847 by a leading sugar planter, is maintained as a private museum filled with period furnishings. It is located on Highway 1 South near Donaldsonville.